Historic Alfa Romeo Racing and Restoration Specialists. Check out our Facebook page here then like our page to view detailed pictures of our current restorations. 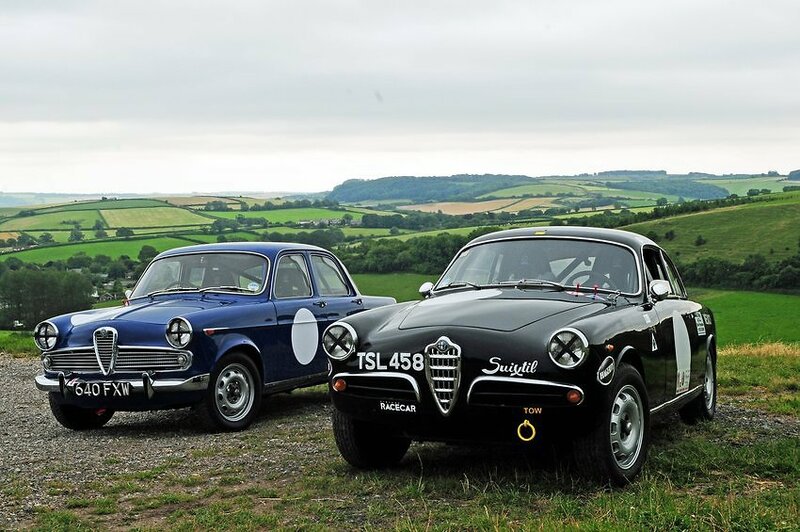 The business is devoted to Historic Alfa Romeo Restoration, Servicing, Sales and Race/Rally Preparation but we can also offer the same facilities for all makes of Historic cars. "Peter, thank you for helping Iain with the Alfa very much appreciated, now she is running perfectly." "Bravo and thanks for all your work! She drove fabulously!" "Just to let you know that we took the car to Bedford Autodrome for a track day yesterday and she went perfectly. One spin only. A lot of fun." "I would like to express my sincere thanks for the work you carried out on my Alfa recently. To say I am delighted with the results would be an understatement. You certainly have a VERY SATISFIED CUSTOMER." "Just to let you know that both car and pilot made it safely back North, 275 miles in just 5hrs !! She goes very well and handles superbly. Many thanks." "Just to say thanks, the car was perfect all day thanks to all your hard work. Ran like clockwork. Thanks again." "We won our category! Thank you for all your hard work." We are situated in the heart of Dorset 20 minutes from the county town of Dorchester, approximately 2 hours by road from Central London, 2.5 hours by train from London Waterloo and 40 minutes from Bournemouth International Airport. Please phone or e-mail for full directions to our workshops. Please do not hesitate to contact me to discuss your Alfa Romeo or Classic Car requirements.